Obituary for Marjorie (Olsen) Hardman | Crandall Funeral Home Inc.
Marjorie Olsen Hardman 91 passed away on November 3, 2018 at her home in Marion, Utah from cancer surrounded by family members. 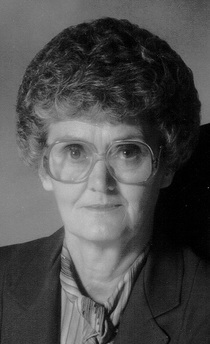 Margie was born on October 5, 1927 in Marion, Utah the only child of Elmer and Gladys Birch Olsen. Margie attended school in Marion and then the new school in Kamas when it opened and graduated from South Summit High School. She married Hugh D. Hardman on March 9, 1946 in Kaysville, Utah and together they had two children. Margie worked for many years at the Kamas Valley Co-op in Marion and then later at Key Bank in Kamas where she made many friends. Margie is survived by her son Steven (Barbara) Hardman and daughter Rhonda (Marve) Mitchell both of Marion. Also 7 grandchildren, Charlie, Cameron, Stephanie, Brandi, Cooper, Cory and Dustin and 14 great grandchildren, Hailey, Taylor, Hunter, Camberly, C.J., Harleigh, Brynlee, Aspen, Taigon, McCoy, Bellamy, Bridger, Cutler, and Carson. The family would like to thank all the friends that stopped in to visit during her illness also Audrey and Brittany for their care and service. The family will greet friends and relatives at the Kamas Stake Center in Marion at 3038 North SR 32 on Friday, November 9,2018 from 10:00 a.m. to 10:45 a.m.
A short memorial service for family and close friends will take place at 11:00 a.m. Interment will be at the cemetery in Marion at 11:30 a.m. In lieu of flowers spend time doing something with your family.